Sub queries and derived tables are located on separate tabs so that they can be accessed and built visually as easy as the main query. Unions are managed within the Union Panel at the top-right corner of the query building area so that you can build a query with unions in just a few clicks! 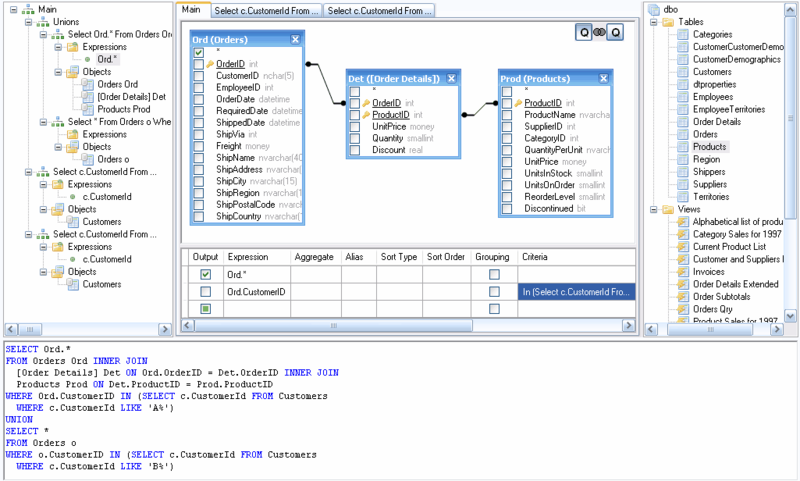 The Query Structure Tree at the left hand allows you to review the whole query structure at once and quickly access the needed sub-queries, objects and expressions by selecting the appropriate nodes from the tree.